The integration of all the services you use from your favorite search provider just keeps on getting better. 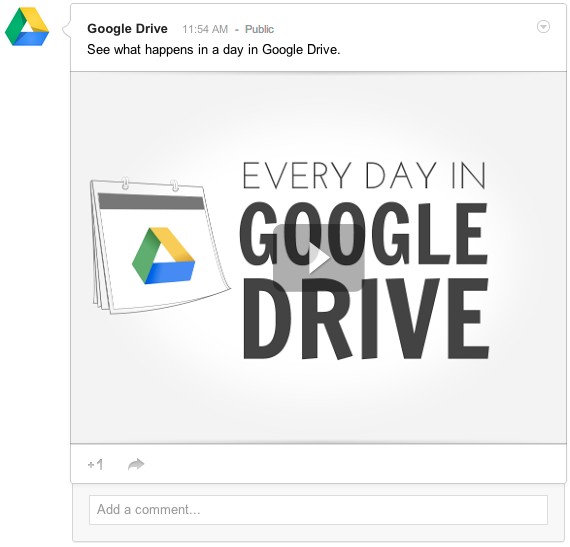 Today, Google announced that you can now share content from your Google Drive directly to Google+. It's not just a matter of a simple link, either (unless you're on mobile). A built-in viewer for PDFs, videos, slideshow presentations and more make the experience virtually seamless. To share to Google+, you simply click the Share button like normal where you'll find the new option waiting, in addition to the usual Gmail, Facebook, and Twitter. Of course, none of the other methods have quite this level of integration and ease of use. As stated before, mobile G+ users will only see a link that will then open in Drive. You shouldn't need to do a thing to make use of the new update. Just go share something from Google Drive now.